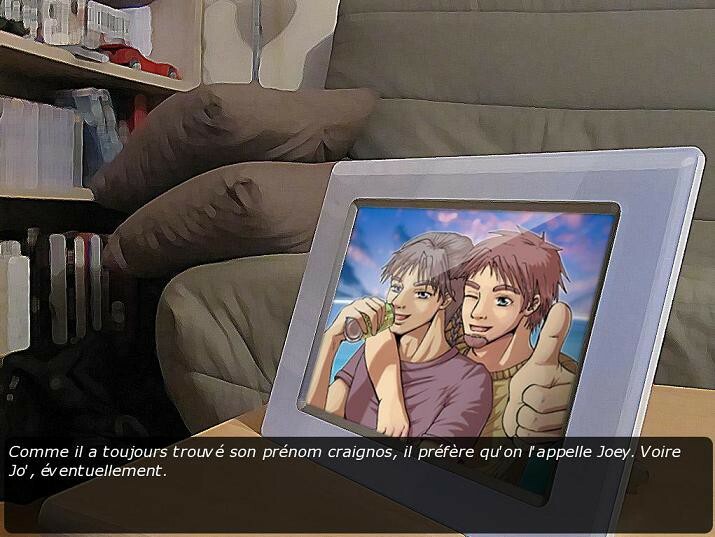 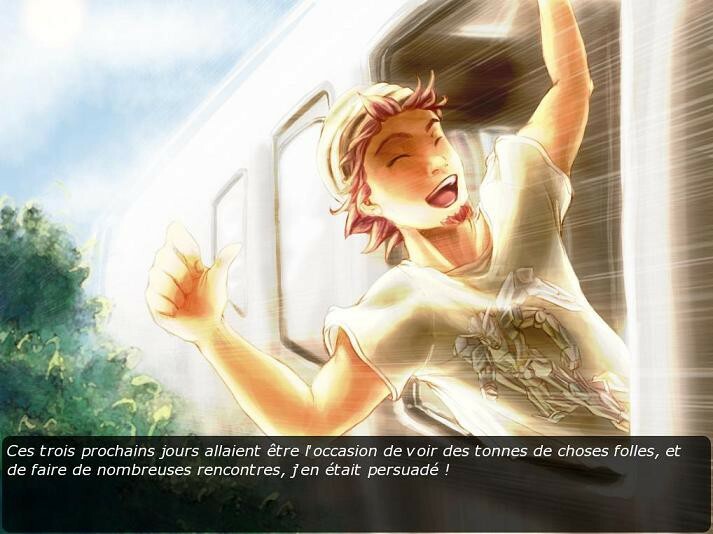 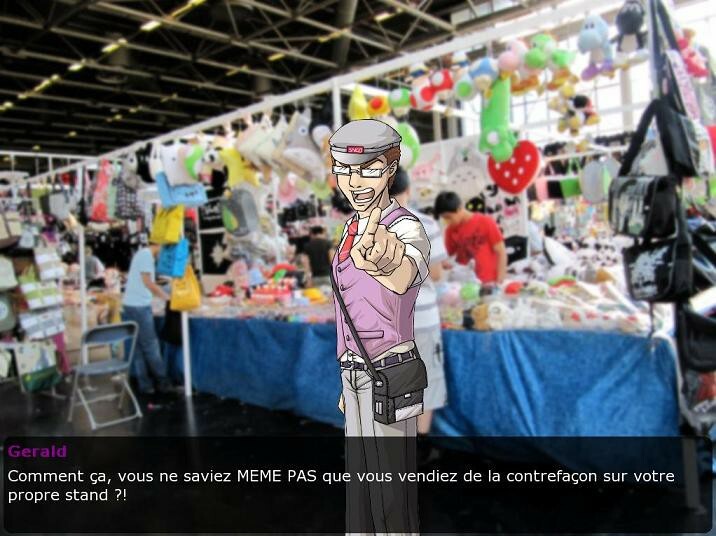 A French visual novel, which is about two buddies going to the biggest French anime convention, the "Japan Market". 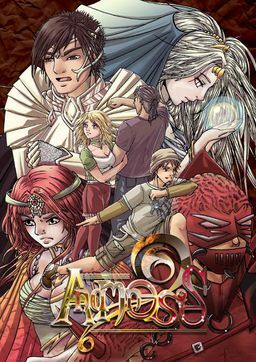 They are confronting ancient mysteries and magic, in this place already dedicated to imagination. 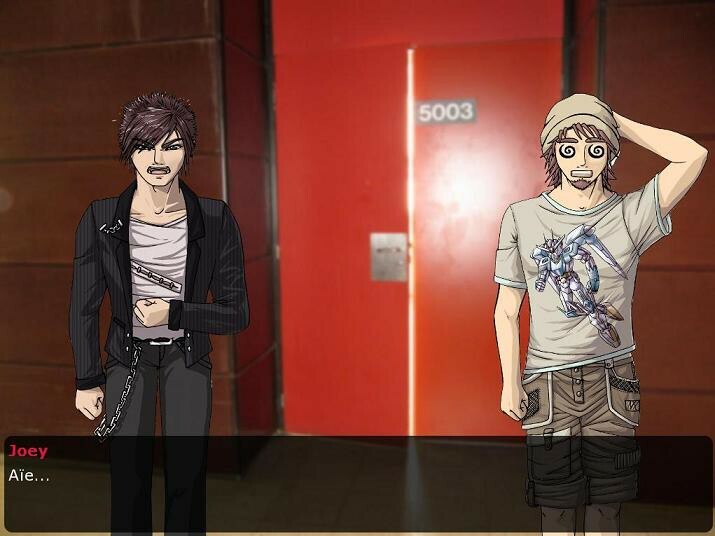 Funny situations, strange characters, otaku references and esoteric trips; this visual novel is a strange cocktail created for the love of Convention and Japanimation.